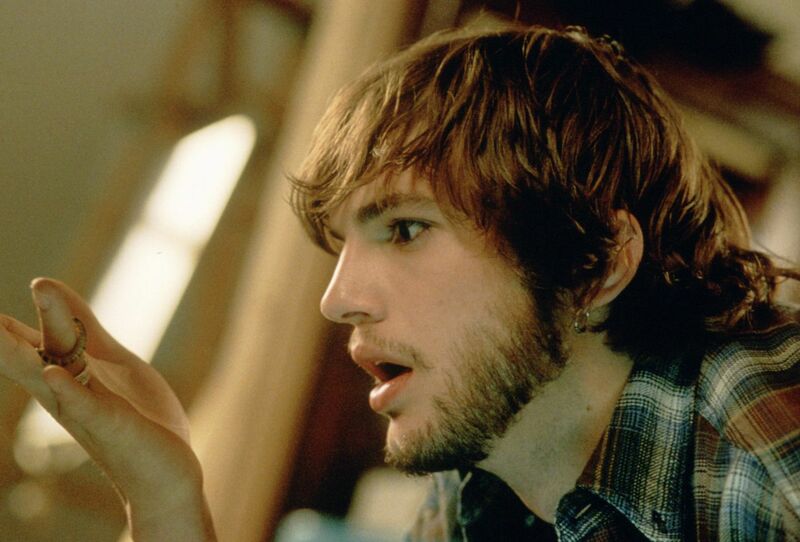 In a departure from his Ritalin kid TV demeanor, a dull-voiced and shaggy-haired Ashton Kutcher spends a good part of The Butterfly Effect moping around like a sad refugee from a ‘70s war flick. Things get worse when he’s then forced to emote. The film is an overblown sci-fi short story about a kid, Evan Treborn (Kutcher), who suffers blackouts during dramatically inappropriate times throughout his troubled childhood and thinks he’s finally left them behind by the time he gets to college. The audience gets a glimpse of what little he remembers via the film’s Cliffs Notes opener—Stephen King-esque episodes of violence and child abuse that leave Evan and his friends psychologically wrecked for life. The past doesn’t want to be left alone and Evan soon discovers that he can actually transport himself back in time to certain key moments and change things to make them better. Anybody who’s read Sound of Thunder (the filmmakers provide a visual shout-out to the Ray Bradbury text) can tell you, changing one thing in the past effects the present in ways you couldn’t possibly imagine. 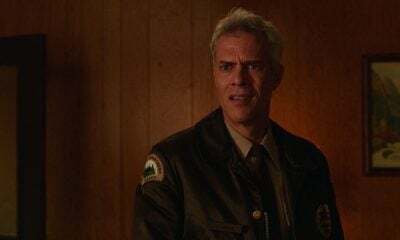 This sends Evan cycling through a series of alternate presents, each its own ludicrous mini-“Twilight Zone” episode, and he subsequently tries to figure out how to go back and undo everything he’s screwed up. As conceits go, it’s not a bad one (though, perhaps, too laden with debts to other, better sources). The writing/directing duo of Eric Bress and J. Mackye Gruber previously had a good time with Final Destination 2, an overly-gory but occasionally clever sequel, but this time they appear to take their material entirely too seriously. The material forcibly strives for an edgy darkness and it usually strands the severely limited Kutcher well out of his depth. For the sake of Evan’s journey, the filmmakers conveniently overlook holes in their screenplay. For example: Why doesn’t anybody ever tell Evan what happened in those times during his childhood when he blacked out? Save for Ethan Suplee’s gargantuan goth, the colorless supporting cast doesn’t help matters much. Amy Smart, as an older Evan’s love interest, barely registers, and a miscast Eric Stoltz gets to play the corniest child molester of all time. Although The Butterfly Effect takes its name from the old adage used to explain chaos theory to high school kids, this is a film that manages to say less about chaos theory than Jurassic Park did.